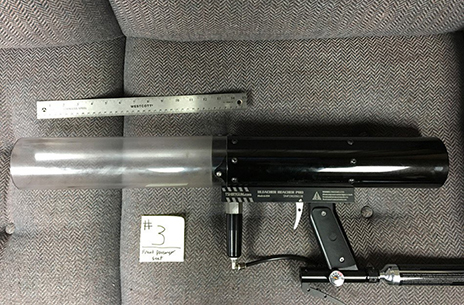 MARCH 15--An Oklahoma woman armed with a $1599 t-shirt gun successfully launched a package of contraband over the fence of a prison, but her smuggling attempt was quickly derailed by eagle-eyed corrections officers, investigators say. Police allege that Kerri Jo Hickman, 40, drove Sunday morning to the North Fork Correctional Center in Sayre and used a Bleacher-Reacher Pro t-shirt gun to blast a package over the fence. Prison personnel spotted the incoming round--which landed near a housing unit--and intercepted it before the intended recipient could scoop up its contents. The seized package contained methamphetamine, pot, cell phones, tobacco, ear buds, chargers, and digital scales, cops say. Upon seeing the container launched over the fence, corrections officers tailed the vehicle in which Hickman drove away from the medium security men’s prison, which holds up to 2500 inmates. Hickman was subsequently pulled over and arrested by Oklahoma Highway Patrol officers. A search of Hickman’s car recovered a second package containing contraband and the t-shirt gun, which is sold at tshirtgun.com. The seven-pound gun, powered by a CO2 canister, can propel payloads up to 300 feet (or, as the manufacturer notes, “to the top deck of most arenas and stadiums”). 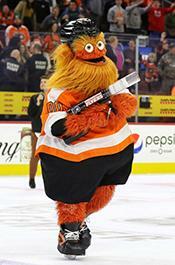 The seized t-shirt gun is seen above in a police evidence photo. Charged with introducing contraband into a correctional institution, narcotics trafficking, and conspiracy, all felonies, Hickman is being held in the Beckham County jail in lieu of $200,000 bond. 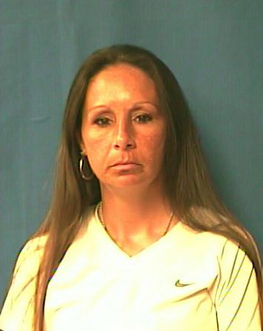 Hickman has a lengthy rap sheet, with drug convictions in several Oklahoma counties. She was in state prison until her release from custody in late-January of this year.